Yes, Chris Paul, Blake Griffin, DeAndre Jordan, and Doc Rivers are all back. Yes, Ralph Lawler will be back on the mic, announcing each and every "Bingo!" and alerting us of Lawler's Law (it's the law!). But no, not much else will be the same. Though most of their biggest cogs remain the same from last season, the Los Angeles Clippers are a very different team and organization this year. Some changes I like, some I don't, and some are just... going to be hard to get used to. So let's break down some of the most important things to look out for in the upcoming season. You either have absolutely zero knowledge about sports or have no access to a t.v. or internet if this is news to you, but Steve Ballmer has finally replaced the dreadful Donald Sterling as the Clippers' owner. It goes without saying that all of Clipper Nation is glad to see the Donald go; the days of shamefully recognizing that your favorite team's owner is a racist (or even worse, for the players, recognizing that your employer and the man you play for is a racist) are over. 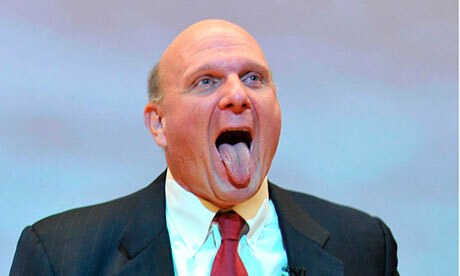 Bring on the Era of Ballmer. He was only a Clipper for one year, but Darren Collison made the most of his short stop in LA. He helped lead the Clippers to a 14-6 record when Chris Paul went down, made unforgettable plays down the stretch in Game 4 of the Clippers-Thunder series, and was arguably our best bench player last year. Looking at the stats, the only thing that favors Crawford is his scoring average. J-Crossover was relied upon to carry the scoring load for the Clippers' second unit all year long and did a pretty good job. However, Crawford was inefficient, as he takes a lot of contested pull-up jumpers (this is reflected in his low field goal percentage). His shot selection became even more problematic when he was playing with the starters (a contested pull-up jumper is NOT preferred to a Chris Paul pick and roll or a Blake Griffin post-up). Collison, on the other hand, plays hard on both sides of the ball: he can defend most point guards well with his quickness and speed, while he also contributes to the offense without having to score. Plus, he fit in well with both the starters and second unit. And despite playing about the same total number of minutes as Crawford, Collison had the higher win share. Regardless, it's not really important who the better player is. What is important is that Collison is now on the Sacramento Kings. He will be missed, and Jordan Farmar will have to try to pick up the slack. However, I'm not exactly convinced Farmar will be able to fill the void created by Collison's departure. The days of Byron Mullens and Ryan Hollins are long gone. The Clippers signed Spencer Hawes to a 4-year, $23 million contract this offseason, a move that might have given the Clippers the best backup center in the entire league. Hawes is a versatile big man standing at 7'1". While he is a subpar interior defender, Hawes can do just about anything on offense; he averaged 13.2 points, 8.3 rebounds, 3.0 assists, and shot 41.6% from three-point range. Hawes' three-point shooting could be the final piece to making the Clippers' offense an unstoppable juggernaut. Just imagine what a Chris Paul-Blake Griffin pick and roll would look like surrounded by three sharpshooters like Hawes, Redick, and Crawford. The paint would essentially be wide open for CP3 and Blake to do work, and if defenses decide to cheat and collapse, an uncontested three-pointer would likely be the result. Now, the problem with this is that DeAndre Jordan is not included in this lineup. And with DJ in a contract year, I have a hard time seeing Doc Rivers taking minutes away from the man he compares to a modern-day Bill Russell. If Jordan's minutes and role are reduced, don't be surprised if he decides to bolt the Clippers next offseason, as many teams are dying for a talented center. Nikola Vucevic just landed a 4-year, $54 million extension as a frame of reference (this leads me to believe DJ will command a max contract). More realistically, Jordan will still play around the same amount of time as he did last year (35 minutes per game). If Griffin also plays around 35 minutes per game, that leaves a maximum of 26 minutes for Hawes if no other big man is used in the rotation. However, I expect Big Baby Davis to get some run at the 4. Unfortunately, it looks like Hawes will only get about 20 minutes per game, getting extended run only when he is on fire or when DJ is in foul trouble. After a disastrous year, Jared Dudley is gone to the Milwaukee Bucks. This leaves the Clippers with no desirable options at the 3 other than Matt Barnes; either Hedo Turkoglu, Joe Ingles, or Chris Douglas-Roberts will get a decent amount of playing time. Yikes! Revisiting the Spencer Hawes signing, the only downside of the deal was the lack of cap space leftover to sign a respectable wing. Personally, I would have rather seen the Clips spend money on a forward who would play close to 30 minutes per game rather than a backup center who looks like he'll play around 20. Chris Douglas-Roberts is bringing back the John Stockton look. His shorts are so short that you can see his spandex even when he's standing upright. I love the retro look, though the combination of the shorts, goggles, and hair might be overkill. Even if it adds nothing to on-court performance, the shorts will probably keep us entertained all year. The Clippers coaching staff has reshuffled quite a bit. Alvin Gentry is now in Golden State, while Tyronn Lue was picked up by the Cavs. Mike Woodson, Lawrence Frank, and Sam Cassell have been brought on by Doc Rivers to replace them. It is tough to assess what effect these moves will have, but it seems as though Lue will be missed. He essentially ran practices last year and definitely had a big role in devising schemes for the team. I mean, he must have been doing something right because the Cavaliers made him the highest-paid assistant in NBA history. However, Mike Woodson and Lawrence Frank are two respectable former head coaches with a ton of experience, and Sam Cassell just helped John Wall grow and develop into the player he is today as an assistant with the Wizards. The trio should form a strong supporting cast for Rivers. Realistically, an NBA team only goes as far as its best players. Chris Paul and Blake Griffin are the undoubted leaders of this team and need to stay healthy in order for the Clippers to make any sort of playoff run. Paul has toiled through a few minor injuries the last couple of years, but his style of play doesn't seem to put him at risk of suffering a major injury. On the other hand, I literally pray before every game that Blake Griffin doesn't tear an ACL or break a bone in his body. Blake doesn't know anything other than giving it 100% at all times on the court. From throwing down thunderous dunks to diving into the crowd to save a loose ball, Griffin always puts the game at hand before the safety of his body. And it doesn't help that Griffin might take more contact and draw more fouls than any other player in the league. However, Griffin has made drastic improvements with his jump shot, which should allow him to get some easier buckets instead of constantly taking punishment down low in the post. Regardless, I'm crossing my fingers throughout every game this year.